Beautiful vector layout with swirls in fresh and wonderful color gradients. 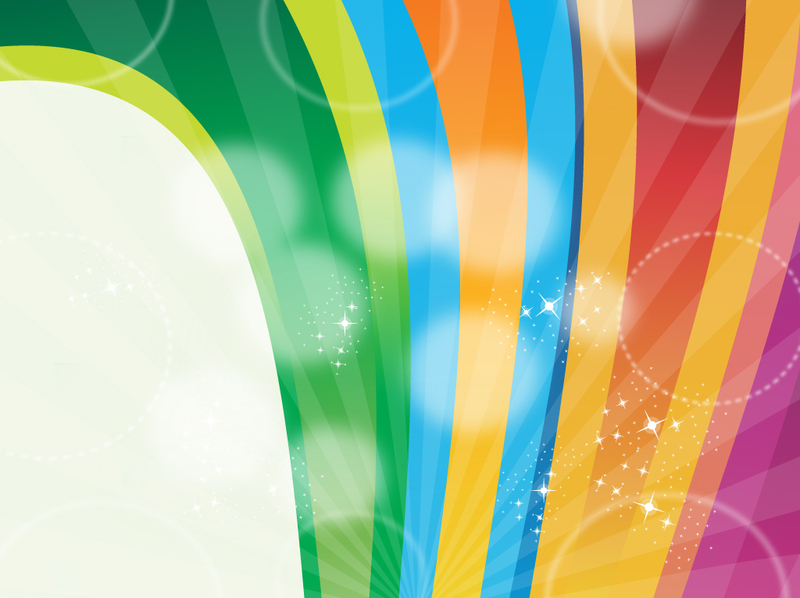 Off-white vector background with an arch of rainbow colors and light rays. Transparent ring graphics and stars highlight the colorful design. The free download could work well with kid party invitations, circus themes or spring music festival flyers. Tags: Arch, Brochure, Circus, Copy Space, Dtp, Invitation, Rainbow, Template.